The world’s 12th longest river with a length of 2,703 miles, the Mekong River flows from its source in the Tibetan Plateau through China, Burma, Laos, Thailand, Cambodia, and Vietnam. It is the life-blood for hundreds of thousands of people living along its banks and tributaries, including two capital cities, Phnom Penh and Vientiane, providing a water source and trade route. 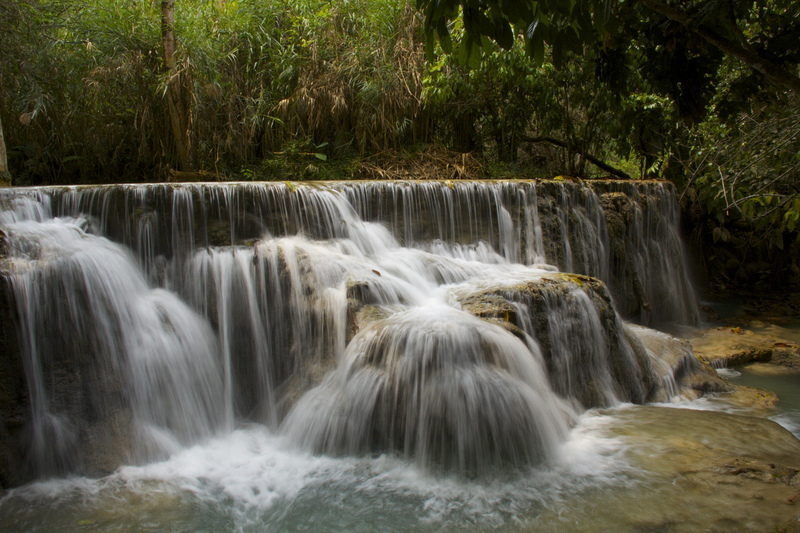 The name derives from ‘Mae Nam Khong’, originating in both Thailand and Laos and translates as “Mother of Water”. 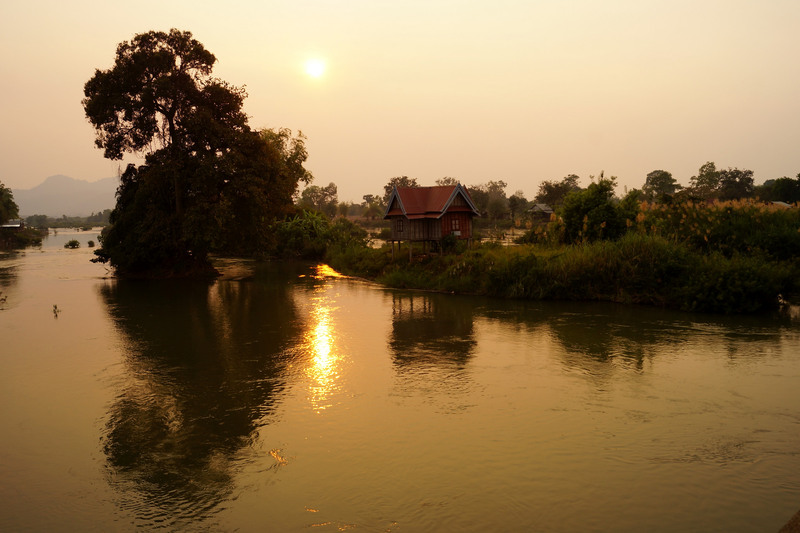 In many places it is simply referred to as ‘River Khong’ by the locals. Bedrock channels that constrain water movement dominate extensive lengths of the Mekong River, with other geomorphologic, alluvial river features restricted to short sections around the Laos capital city, Vientiane. The Mekong Delta moved 124 miles over the South China Sea continental shelf during the last 6,000 years throughout which its current formation was developed. 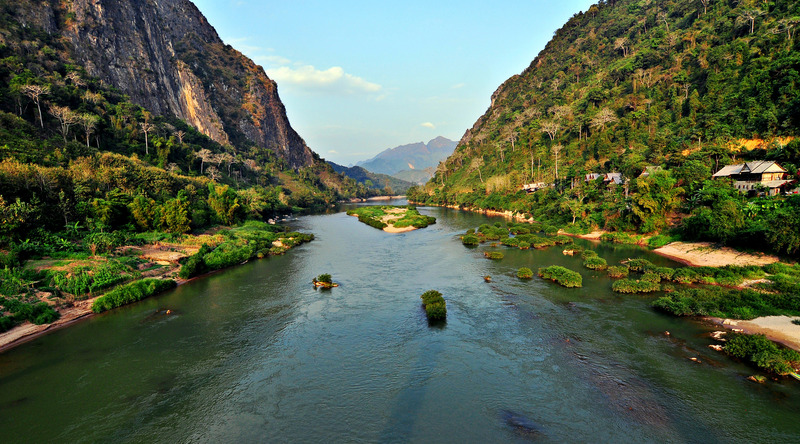 Rapids, waterfalls, and dramatic flow increases and decreases between seasons have made navigation difficult but, despite this, the river has served as a major trade route between China’s Yunnan province and the countries of Southeast Asia. The French Mekong Expedition led by Ernest Doudart de Lagrée and Francis Garnier was the first to navigate the river from its mouth to Yunnan from 1866 to 1868. Pyotr Kuzmich Kozlov located the river’s source in the Tibetan Mountains in 1900. During the first decade of the 20th century, the Lao section of the river was controlled by French Indochina until they were defeated by American-supported governments. The 'upper' Mekong extends north of the Khone Falls in southern Laos while the 'lower' part is defined as extending below these falls. At 2,703 miles in length, the river drains an area of 306,951 square miles and discharges around 176 square miles of water annually. 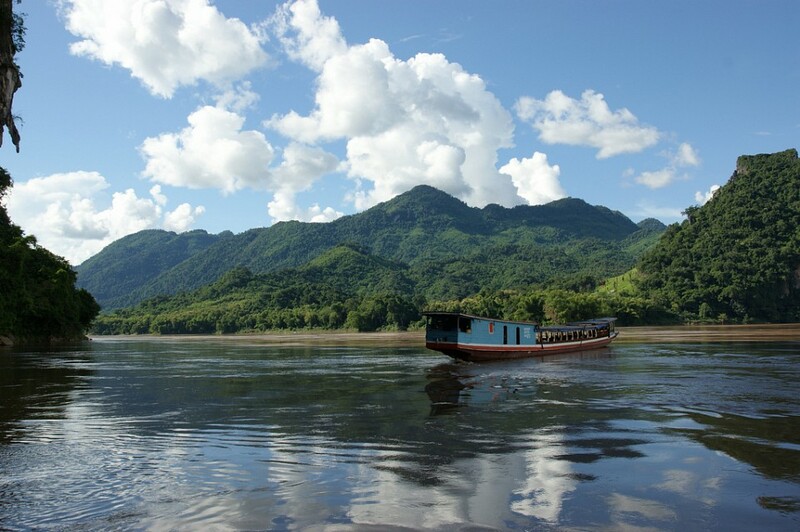 The Mekong River Commission was established in 1995 by Laos, Thailand, Cambodia, and Vietnam to help distribute, manage, and coordinate the river’s resources and prevent disputes between countries. The Mekong Basin houses the world’s second highest level of biodiversity, after the Amazon Basin, including 430 mammals, 1,200 birds, 800 reptiles, and amphibians, and around 850 freshwater fish species. Such a large number of very large fish are unknown in other rivers, including Giant Freshwater Stingrays and the endemic Mekong Giant Catfish. Irawaddy Dolphins used to be common throughout the Lower Mekong but are now rare as the result of damming, flood control, and overfishing. These dramatic changes to the ecosystem have impacted stock numbers of fish throughout the river. Mammals found in and around the river include the Smooth-Coated Otter and Fishing Cat, while the endangered Siamese Crocodile and Saltwater Crocodile are found in select locations of the river and delta. 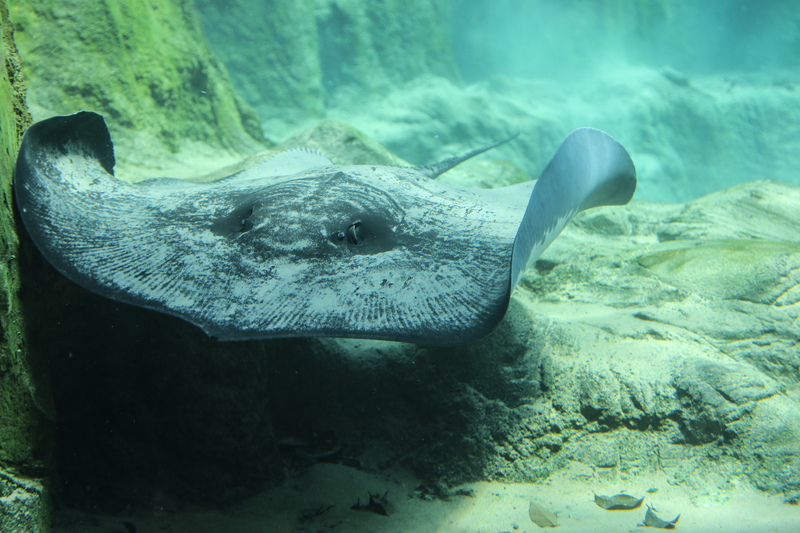 Freshwater crabs, shrimp, snakes, turtles and frogs also inhabit the river. Because of the abundance of fish and diversity, aquatic biodiversity is the second highest in any river system of the world after the Amazon River. It is thought that around 2 million tons of fish are caught within the river each year, together with almost 500,000 tons of other aquatic animals. Around 40 million people are involved in Mekong’s fisheries industry and it contributes a large percentage of protein to the diet of the rural people who inhabit its banks. 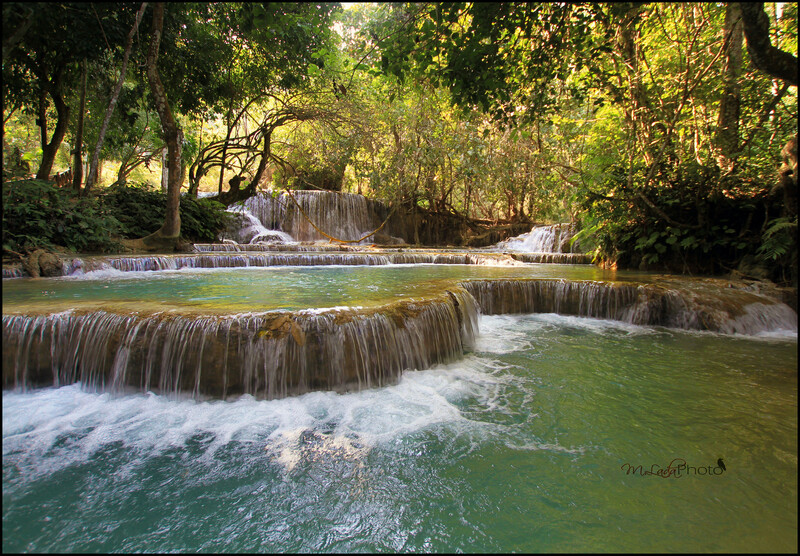 The Mekong Basin also comprises 16 of the World Wildlife Fund’s 200 eco-regions and an estimated 20,000 plant species. The Mekong River can be accessed through any of the six countries through which it flows and countless towns rest on its banks. From short day cruises to luxury all-inclusive week long tours, there are ways to experience this magnificent river to meet all budgets. The Mekong Delta is also a fascinating and beautiful spot to visit and can be accessed easily from Vietnam’s Ho Chi Minh City in a day trip, but it is well worth spending a few days in the region to fully appreciate its scope and influence on Vietnamese society and food production. Producing more than a third of the country’s annual food crop, the Delta is an agricultural wonderland of nutrient-rich soil known by locals as Cuu Long, or ‘Nine Dragons’, referring to the nine tributaries of the Mekong River. Tours through the rice paddies, orchards, and swamplands offer evocative imagery – workers bent over in conical hats, children riding water buffaloes and flocks of storks taking flight. Accommodation and tourist facilities are available at numerous towns throughout the Delta. Can Tho makes an excellent base with good hotels, restaurants and a nearby floating market. My Tho and Vinh Long offer boat trips and are within easy reach of Ho Chi Minh City, bird watching is excellent in Cao Lanh, and Sa Dec offers exceptional scenery with flower nurseries set against the river’s backdrop. The best time to visit is in the dry season from December to May although exciting longboat races take place in November/December in the Khmer village of Soc Trang and are well worth organizing a trip to the Delta.